An artist talented and versatile enough both to top the pop charts and to be part of the groundbreaking Wanted: The Outlaws album, she is assured a place in the history of both formats. 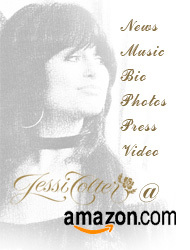 With the release in 2003 of An Outlaw ...A Lady: The Very Best of Jessi Colter--which No Depression called "one of the more important and plain necessary releases of the year"-and the 2006 release of “Out of the Ashes” -her legacy has been showcased again both for those who were part of the magic as it happened and for a new generation. impressed rockabilly guitar star Duane Eddy, who produced her 1961 single "Lonesome Road." They married in 1963. He wrote and recorded an instrumental, "Mirriam", while she wrote some of his album tracks, as well as "No Sign of the Living" for Dottie West. In 1967, Eddy and Colter recorded a duet single, "Guitar on My Mind," but divorced the following year. She married Waylon Jennings on Oct. 26, 1969, at her mother's church. In 1975, Colter notched a sizable country and pop hit with the self-penned "I'm Not Lisa." That was followed a year later by the success of Wanted! The Outlaws, a collaboration with Jennings, Willie Nelson and Tompall Glaser and the first Nashville album to sell a million copies. Her best-known duets with Jennings are "Suspicious Minds" and her soothing composition "Storms Never Last." Her re-emergence as a recording and concert artist, bodes well for the future of popular music when it can surely use someone of her vision, originality, and accomplishment.